TAIPEI, Taiwan – Representing 36 different nations, 27% of the more than 1,100 exhibitors at the Taipei International Cycle Show are from overseas, emphasizing the international character of the 2014 edition of this industry event. The 27th Taipei Int’l Cycle Show will unfold March 5th to 8th, at the Taipei World Trade Center Nangang Exhibition Hall, with a special venue at the second floor of the TWTC Exhibition Hall. 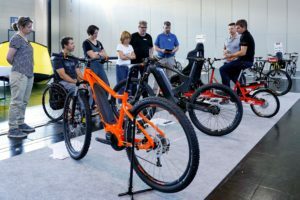 According to organizer TAITRA the 2014 show features more than 150 up-and-coming companies in the cycle industry, including 60 first-time exhibitors. TAITRA also reports a wide interest in the event, resulting in fully booked halls by the end of September last year. Togther, all exhibitors have booked the entire exhibition space of more than 50,000 square meters. 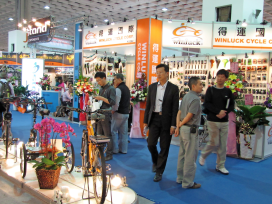 Despite the global economic downturn the Taipei Cycle Show rejoices in a growing popularity. 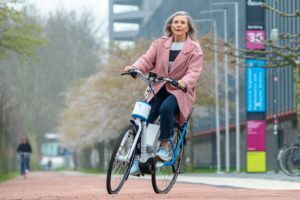 Taiwan is not only the base of many leading bicycle and bicycle component manufacturers, it is also located in the centre of the quickly growing Asian bike market. That’s also the reason why the Taipei Cycle Show continues to present itself as the buyers’ platform for the industry. 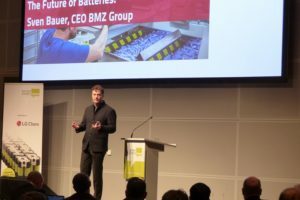 “Though product managers might have changed their focus to other events at a different time of the year, the Taipei Cycle show is still the main show for vendors and distributors from around the world sourcing in Asia”, said TAITRA. 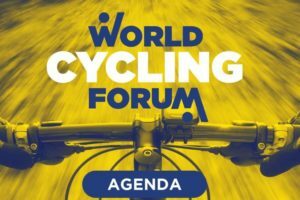 Because the new building adjacent to the existing Nangang Exhibition hall will not be ready before 2015, TAITRA will use the former location of the Taipei Cycle Show, in the TWTC, to avoid long waiting lists of exhibitors. A much-anticipated feature of the 2014 Taipei Cycle show will be the third edition of the ‘d&i awards’. The jury made a pre-selected group of 49 winners, with 4 of them receiving a Taipei Cycle Gold Award at the opening of the show. Another feature for exhibitors to stand out among the massive number of new products launched in ‘Taipei’ is the option offered by TAITRA to book free time at the ‘Product Launch Platform’. Each applicant will get 20 minutes to present it products. The ‘Product Launch Platform’ is located at an outside area on the 6th floor. 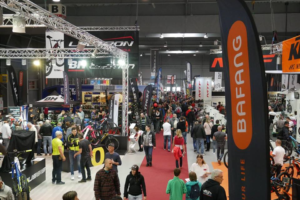 Just like last year, the Taipei Int’l Cycle Show will take place in conjunction with the Taipei Sports Textile & Accessory Expo, the Taipei Sporting Goods Show and the Taiwan Diving and Water Sports Show.